Home » Blog » Which Operating System is Microsoft Windows Based? If MacOS and Linux are based on Unix, then what is Windows based on? Which Operating System is Microsoft Windows running on? The history of operating systems is a wonderful case for a study that could fill many volumes. The modern operating system is so complex (any of them), that it is difficult to “declare” that only one person is responsible for it. In this blog post, I will be sharing with you some basic information about the Windows operating system. Please ask questions about anything or share your knowledge by leaving a comment below the post. Which Operating System is Windows Based? Windows Phone (WP) is a family of mobile operating systems developed by Microsoft for smartphones as the replacement successor to Windows Mobile and Zune. Windows Phone is now replaced by Windows 10 Mobile in the year 2015. It emphasizes a larger amount of integration and unification with its PC counterpart. It includes a new, unified application ecosystem, along with an expansion of its scope to include small-screened tablets. Windows operating is based on DOS. When DOS came out, written by Microsoft, it was based on an operating system called CP/M. Microsoft bought the rights to CP/M, and developed MS-DOS from it. The first “Windows” was a GUI-based frontispiece that sat atop DOS. Work on a major Windows Mobile update may have begun as early as 2004 under the codename “Photon”, but work moved slowly and the project was ultimately canceled. In 2008, Microsoft reorganized the Windows Mobile group and started work on a new mobile operating system. The product was to be released in 2009 as Windows Phone, but several delays prompted Microsoft to develop Windows Mobile 6.5 as an interim release. Windows Phone was developed quickly. One result was that the new OS would not be compatible with Windows Mobile applications. Microsoft partnership Nokia brought about the end of the Symbian operating system on Nokia phones. On February 11, 2011, at a press event in London, Microsoft CEO Steve Ballmer and Nokia CEO Stephen Elop announced a partnership between their companies in which Windows Phone would become the primary smartphone operating system for Nokia, replacing Symbian. The event focused largely on setting up “a new global mobile ecosystem”, suggesting competition with Android and iOS. Windows is a brand created and owned by Microsoft Corporation, an American multinational technology company headquartered in Redmond, Washington. Windows Phone mobile operating system is also owned by Microsoft Corporation. Windows operating is based on DOS which is based on CP/M operating system. 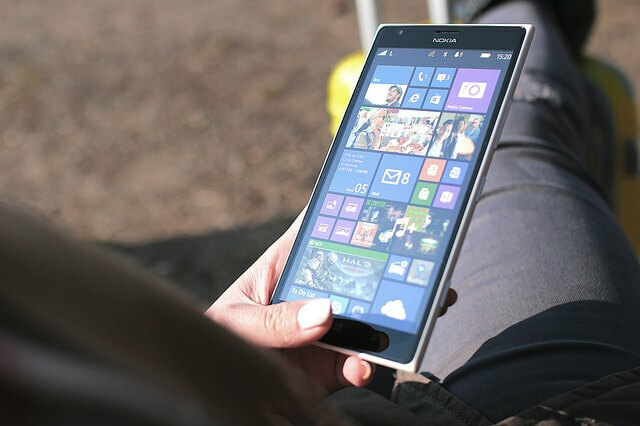 Microsoft partnered with Nokia and replace their Symbian OS with Microsoft Windows Mobile and the operating although did not have wonderful beginning has now replaced with a more stable Windows Phone Operating system which is gaining the market today.